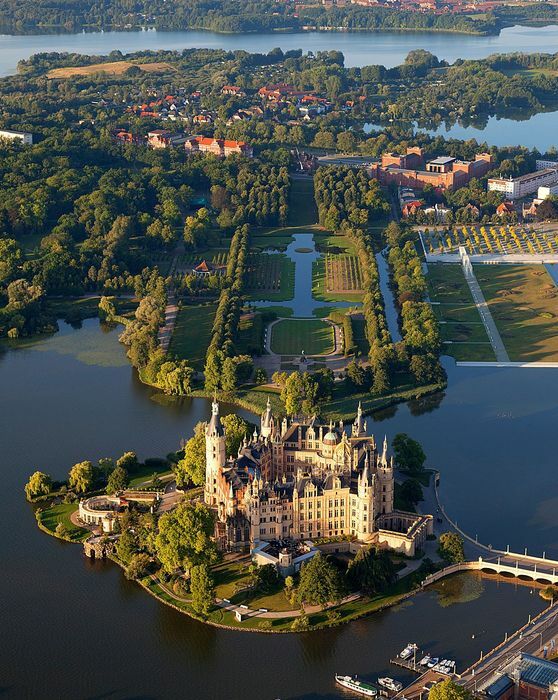 Schwerin Castle is the most important building in the city, located on the island in the lake in the city center. A bridge connects the castle to the mainland. The most prominent character of the castle that has hosted countless dukes and barons since its construction, including Communist Party executives at the time of Democratic Germany, is the Petermannchen spirit. This genial spirit, around one meter tall, who roams around the secret paths and tunnels of the castle, carries numerous keys on his waist and leaves every door he passes through open. The spirit, who has a torch in his hand and a short sword at his waist, is the warden and keeper of the castle. He rewards honest and good guests visiting the chateau but he shows thieves no mercy. He hounds trespassers with his pranks. Nowadays a guide posing as Petermannchen accompanies tourists who wish to take a tour of the castle. The works of art in the castle are awe-inspiring. The Children’s university, Doga Koleji and Istanbul University joint venture, has this time explored Kenya. The Children’s University took a group of primary school students on an exploration trip to Kenya, the land of one of the world’s biggest animal migrations. The expedition took place between 23 August and 1 September, with the principle of providing on-site education. The young scientists who saw endangered animal species in their natural habitat also met local Maasai people. The Side skies are getting prepared to host an Air Show for the first time! ‘Airshow Side’ will take place in Side on 1-2 October 2011 under the leadership of one of world’s prominent aerobatic pilots Ali Ismet Ozturk. Shows can be viewed uninterruptedly from the 3.7 kilometre Side beach. ‘Airshow Side’ will ‘ also include aerobatic flights from Barrett Brummet and Pilot-Major Murat Keles. Shows by Ayjet Flight Academy and Turkish F-16s, parachute jumps, „ paramotor flights and model helicopter shows will s also take place as part of the event.